There are plenty of proverbs in English concerning appearance such as appearances can be deceiving, beauty is only a skin deep, you can't judge a book by its cover, and so on. However, people still hold a view that a person needs to spruce himself/herself up in accordance with the occasions. It may not be that important for a normal person, but, when it comes to the Presidential candidates, it has a huge impact on his or her career. Let's take a look at Barack Obama, who was recently re-elected to his second term as the President of the United States of America. Is he stylish? He usually shows up in a very basic style but we must admit that he has some charisma to his look. Are there any stories in US politics where appearance played a prominent role? Of course ! One obvious story from history was the presidential battle between then-senator John F. Kennedy and then-vice president Richard Nixon in 1960. 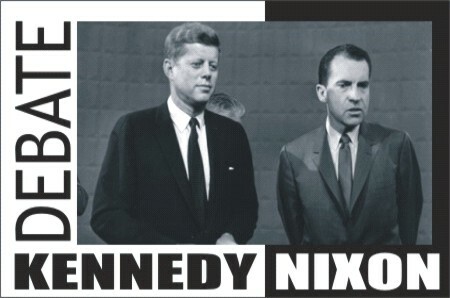 Kennedy's strapping image with his dark blue suit projected over Nixon's tepid gray one and put him into the lead in the race. According to Albert Mehrabian, professor emeritus of psychology,UCLA, 55 percent of a person's message is received and processed based on the speaker's body language, and 38 percent on tone of voice and only 7 percent based on the content of the words. Voters have no way of knowing the candidate's inner thoughts. Therefore, they base their judgments on looks, the pasts, expressions, speech patterns and gestures. In terms of style, the two Korean presidential candidates Park Geun-hye of the Saenuri Party and Moon Jae-in of the Democratic United Party appear to prefer achromatic tones when dressing themselves. They seem to like to spruce up as naturally as possible. It might come from the teaching of Confucianism. The heart of its teaching is to appear modest and avoid aggression as much as possible. They also lack the two axes of the 21 st century's emotional politics: tear-jerking politics and witty politics. They just give their speeches in monotonous tone while Barrack Obama beautifully put the jokes and sentimental stories in his speeches. For Myanmar, there are only two figures showing up in all political business: the former elite of Military Junta and now the President Thein Sein, and the Noble Laureate Daw Aung San Su Kyi. 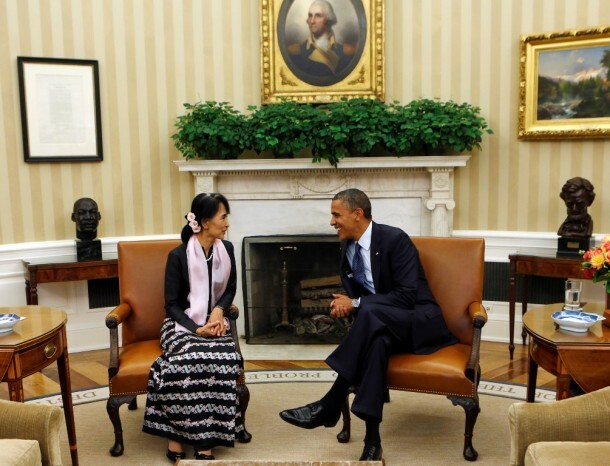 The president wears traditional costumes and western suits when he thinks he needs to do so. On the other hand, the Lady dresses up in a variety of colors and styles. She is not only the political and spiritual leader of the country but she seems to be a role model and fashion icon. For all leaders, style is an important factor. It may be based on personal choice or belief or by the spectators. But the most important thing to note here is that the looks are not what the people perceive. People just want to see their leaders' invaluable promises put into action once they've taken the throne.